You’ve probably been itching to fix that pesky roof leak that’s been plaguing your home for ages. Before you break out your collection of tools, however, you might want to rethink doing this job yourself. After all, no matter how handy you may be with your construction tools, issues that involve a simple roof leak and its attendant roofing damage are often bigger than they may at first seem. Roof leaks are one among the most common roof issues homeowners face. Because of this, all too often, homeowners place leaks in an “easy to DIY” category. The truth is, however, that there’s no such thing as a “simple leak,” and by no means is a leak repair job easy to DIY. Preventive maintenance plays a huge role when it comes to dealing with leaks – so homeowners need to be proactive about keeping their homes well-maintained. Why? Because once the home springs a leak, it’s already too late. At the very least, dealing with a leak can be pretty bothersome, which is why homeowners tend to postpone repairs for as long as they can. Doing so, however, typically results in bigger problems over time. Once you notice a leak, it should become a priority for you to trace its source and stop further deterioration. This is where early leak detection comes into play. Professional roofers will tell your that early leak detection is crucial in helping you immediately address potential problems that can easily translate into your spending serious amounts of money to rectify water damage. There a number of causes for a roof to leak. Homeowners need to recognize the signs of an impending leak, not so they can fix it themselves, but, rather, so they can call in a trustworthy professional roofer to handle things. Why so? Rather than diving into doing something you know nothing about and making a mess of things, you want to hire a professional with the experience, knowledge and the right equipment to quickly and accurately detect the location of the leak. Broken shingles, loosened nails, cracked plumbing vents and clogged gutters can all cause leaks as can incorrect seamless gutter installation, lackluster maintenance and weather damage. A pro will be better equipped to find and identify the leak’s source. Water stains and streaks on the ceiling or spots on your exterior walls adjacent to the roof – The presence of water inside your home where there should be none is the surest sign of a roof leak. The most telling signs are stains or streaks along your walls and ceiling. If you’re seeing large brown puddles on your ceiling or in the darker corners of your home, that points to water infiltration. Streaks and stains won’t necessarily appear directly beneath the leak. Small ones, in fact, can be a sign of a larger leak elsewhere on your roof. Any brown or black marks are stains caused by the deterioration of your roof’s underlying wood material. This is a structural concern that you’ll need to act on as soon as you spot this problem. Otherwise, deterioration could spread and require full replacement of your roof. Missing or damaged roof shingles – Shingles serve as your roof’s main shield against the elements. When they are missing or damaged, cracked, buckling or curling, expect serious leaks to appear around your home. Perhaps, you’ve even noticed patches of missing material on your roof’s surface. Hail and wind damage can cause such issues, which will, in turn, cause water to penetrate and drip onto the roof deck. Excessive mold, moss and mildew growth – Leaks cause constant water exposure and can also give rise to excessive humidity. This, in turn, allows mold, moss and mildew buildup to develop in your home. Look for discoloration, dampness and warping. A musty, unpleasant smell is also an indication that your family is being exposed to significant health risks. Expert roofers can more easily track down the source of the leak to perform necessary repairs promptly. Loose or torn flashing – Flashing is made up of thin, metal pieces. They’re installed under the roofing material and around joints to help create a weather-resistant barrier for that the most vulnerable areas of your roofing system. This includes the areas around chimneys, skylights, vents and valleys. Torn or loose flashing leaves your home vulnerable to water damage. Water can easily seep into your foundation and walls, compromising your home’s structural integrity. Failing insulation and ventilation – A stuffy attic is oftentimes the result of having a roof leak. As water seeps in and begins to damage your insulation and hamper ventilation, you will be unable to keep a stable temperature inside your home. Your HVAC system will need to work extra hard as well, resulting in high energy costs. Other signs that are indicative of leaks include discoloration on roof deck and attic components, and clogged and overflowing gutters. Your Roof Needs to Be Replaced – Your roof has had a long service life and is now due for replacement. How long has it been since your roof was installed or last replaced? An aging roof system that has reached the end of its service life will have a hard time keeping water out. It’ll be brittle and more prone to cracking, which would invite water to flow freely into your home. Damaged Flashing – Some roofing components like chimneys are designed to stick through your roof. Flashing needs to be built around their seams to prevent leaking. Damaged flashing is particularly vulnerable to leaks, and the seams they typically cover can become an entryway for rainwater. Holes in Your Ridge Cap – A ridge cap covers the peak of your roof to protect the ridge vent from leaks. Roofers sometimes inadvertently damage the ridge cap when doing their work, and this can lead to holes that become leaks down the road. Clogged Gutters and Downspouts – When you have dirty gutters, clogs can cause rainwater to overflow and seep through your siding or exterior shingles. Gutter maintenance or the use of gutter guards can prevent this from becoming an issue. Other likely causes of roof leaks are faulty plumbing and leaky pipes in the attic, excess condensation in the home, ice dams and holes in the roof. Leaks can lead to serious structural damage – Tiny leaks may seem inconsequential, but a seemingly small drip can inundate your insulation, seep into your walls and penetrate the the very foundations of your home. There’s no going back once the integrity of your home has been compromised. Leaks bring attendant health risks – Where moisture is present, mold and mildew are very likely not far behind. Everyone knows that rapidly spreading spores can cause not just allergies, but a slew of related health issues that can hit your kids and the rest of the family hard. Bzzzt! – A leak can find its way into your electrical wiring and result in serious electrical issues in the home. Exposed wires can lead to electrocution or can result in spontaneous fires, which certainly won’t bode well for anyone. Ballooning costs – You may not be aware of it, but what started off as a tiny leak can have serious consequences. 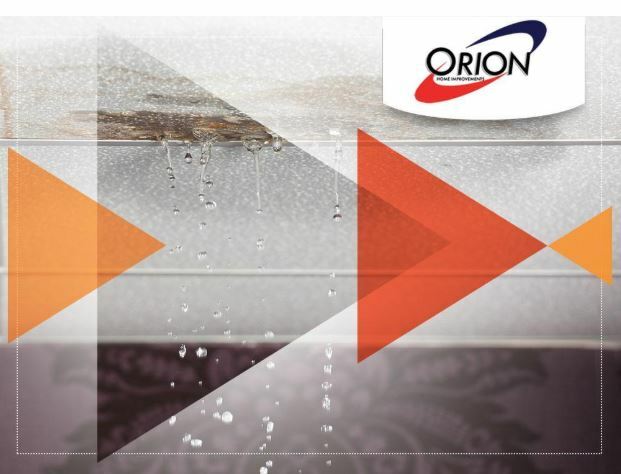 Leaks can quickly compromise the integrity of your home as it seeps into your roofing, walls and all the way down to the core of the home – your foundation. Once your home’s very structure has been compromised, it’ll cost you serious money to set things to rights. No one really wants to have to deal with leaks, but when they do appear, there’s only one thing for it. Call in a trusted roofer to conduct a thorough inspection of your roof and home. After your roofer’s complete evaluation and recommendations, you should have the necessary repairs done by your chosen roofing pro to ensure that your roofing and your home stay safe and sound for the long haul!